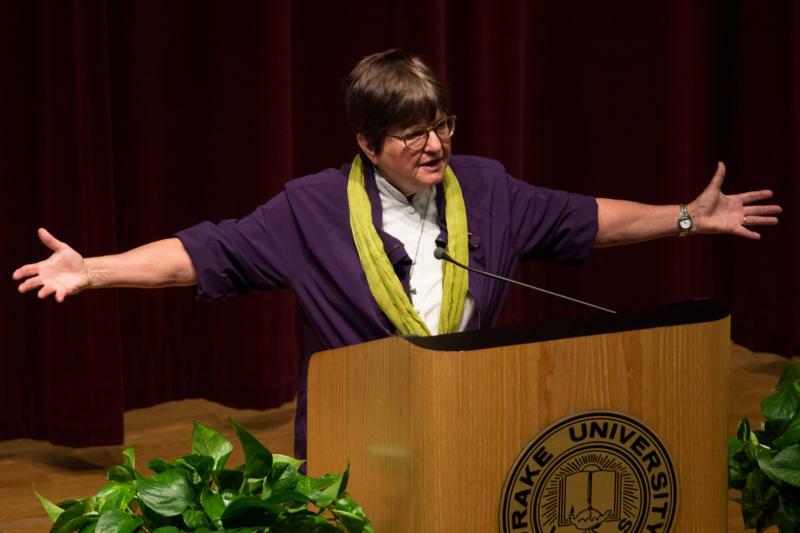 Sister Helen Prejean speaks during a lecture at Drake University, May 2014. Her work with death row inmates is the basis for the opera “Dead Man Walking”, which is being presented by the Des Moines Metro Opera's summer 2014 season. The Des Moines Metro Opera's summer 2014 season includes “Dead Man Walking”, the company’s first work from the 21st century. 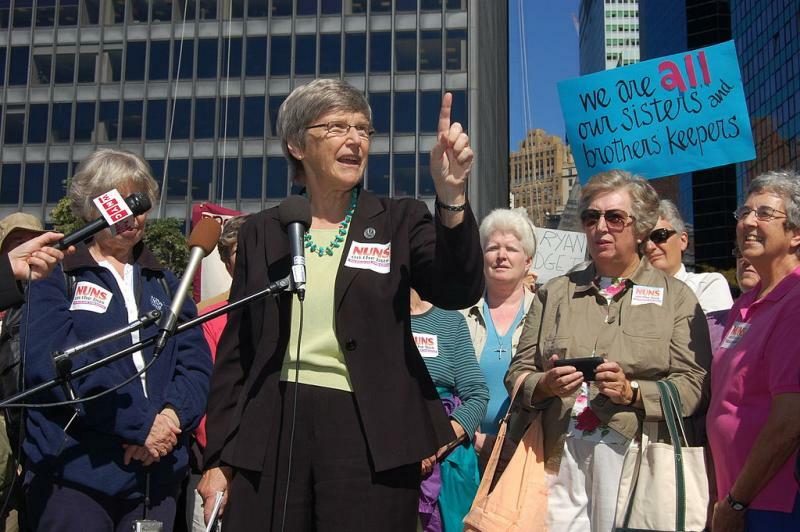 It’s an adaptation of Sister Helen Prejean’s 1994 book about her experiences of ministering to death row inmates. The story is based on Prejean’s early prison ministry work when she became the spiritual advisor for death row inmate, Patrick Sonnier until his execution in 1984 at the Louisiana State Penitentiary. While the opera is based on Sonnier’s case, the story uses a fictious character, Joseph De Rocher. During the prologue, De Rocher participates in the murder of two teenagers. Prejean says this first scene is designed to remove any doubt about his innocence or guilt. “So, this guy’s really gotta grow on you because we have the outrage over a terrible crime that’s done, and then we face the moral decision that as a society, now how are we going to respond?” Prejean opposes capital punishment, but says she had to learn how to work with those who disagree with her, like the families of the victims. Composer Jake Heggie during a visit to Des Moines. He began writing opera in 2000 with “Dead Man Walking” and it’s been performed by more than 50 opera companies, including Des Moines Metro Opera. You can hear a longer interview with Prejean as heard on River to River. Sister Helen Prejean talks about her work on death row and why she is so strongly opposed to the death penalty. June Showcase Hosts Sister Prejean and Jake Heggie, CROT's "Mikado", the 5 Seasons Chamber, & more! Michael Gilbertson, Artistic Director of ChamberFest Dubuque, discussing the evolution of his “Juilliard in June” program into the new multiple concert series and workshop event. And composer Jake Heggie, talking about the unusual circumstances of his first opera based on Sister Helen Prejean’s book.